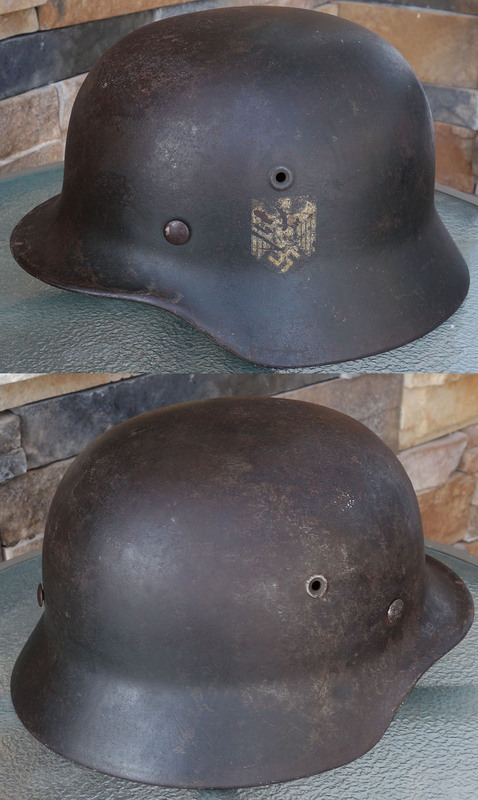 Here we have a combat worn example of a single decal M40 Army helmet by EF. The shell is constructed out of a stamped piece of steel sheet metal that has been green textured painted. The shell has a folded over edge, embossed air vents and three split rivets. The interior has a steel liner with two square rings. The interior liner is made of brown leather. It remains completely intact along with a draw string and all fingers are intact and untorn. The chin strap is lost to time. 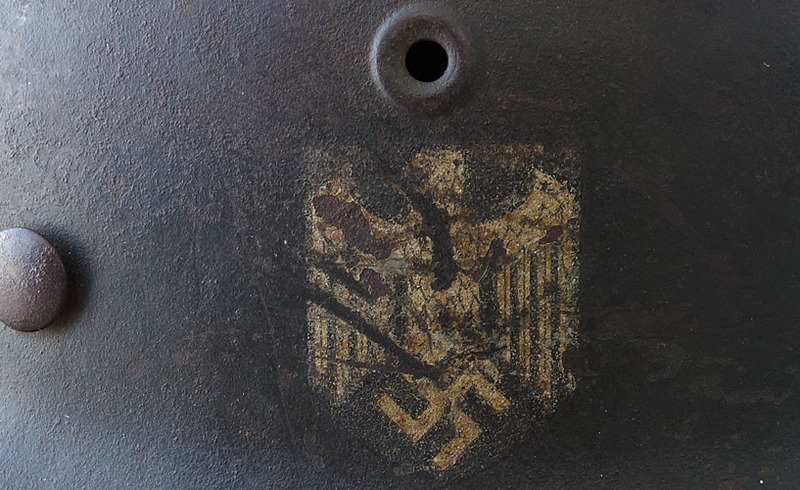 The helmet is serial marked “3136” to the back and is also maker marked and sized “EF62”, (Emaillerwerk AG, Fulda). The exterior is well worn showing period wear and 50% paint coverage. There are no dents but some small pitting. The single white and black lined EF Heer decal is scratched, being 75% intact! A good example from the Vet's family. OK I just reviewed the pics on the site and those white dots on the liner are NOT paint speckles but rather a bit of lint.